Rancho Palos Verdes is located just south of Redondo Beach and North of Long Beach in the South Bay area of Los Angeles county. Rancho Palos Verdes is well known for the Trump golf resort at Terranea with ocean front golf course views combined with multi-million dollar homes. The area is very diverse filled with dozens of gated communities and upscale neighborhoods. The views from some of the hillside communities are simply breathtaking with majestic views of the coastline and Catalina Island Views. Real estate prices in Rancho Palos Verdes will normally start in the mid $200,000 range for a two bedroom bank approved short sale condo. There are several condos for sale in all price ranges with single family homes normally starting in the $700,000 range. 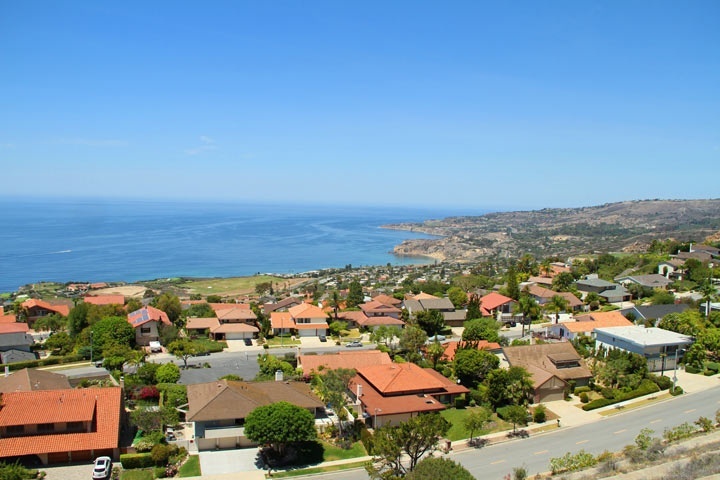 Rancho Palos Verdes has many communities to choose from so we have provided all the neighborhoods with community information and listing information to the right. "A Palos Verdes home has just been sold by Beach Cities Real Estate agent Jo Lee who represented the buyer. nbsp;6201 Via Subida, Palos Verdes sold for $1,930,000 and closed escrow on Friday Novembe... "